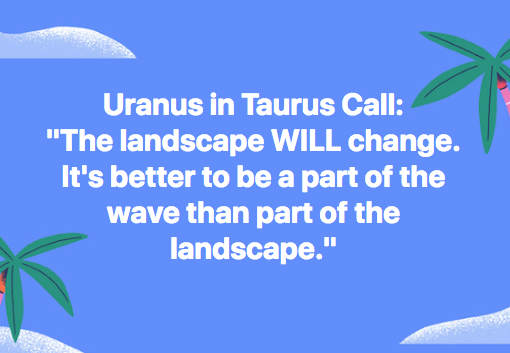 Uranus entered a new sign–Taurus–for nearly 8 years on 15 May 2018. This will likely initiate significant changes–particularly in the areas of money (both personal and global economics) and natural resources–over the coming years. Uranus is associated with the future, with sudden change, breakthroughs, technology, freedom, innovation, genius, revolution, and electricity. 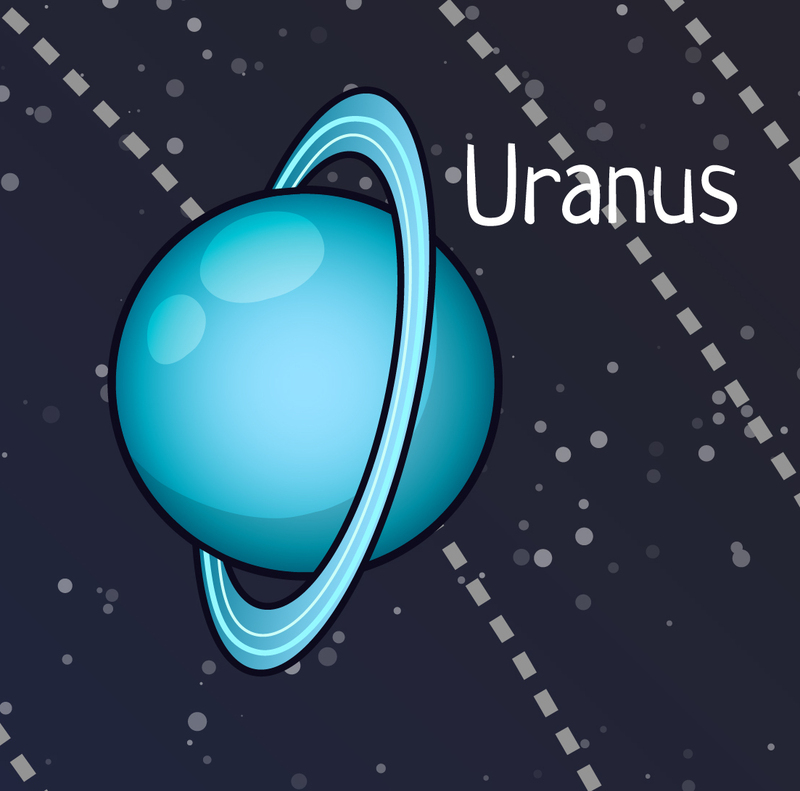 Uranus is the lightning bolt: the sudden flash of brilliance and also that abrupt energetic force which shuts down old systems. In contrast, Taurus, as the first Earth sign, is associated with endurance, deliberation, stability, security, and grounding. It is slow-moving, rather than lightning-fast. Taurus is also the sign of abundance and sensuality, pleasure and reverence. 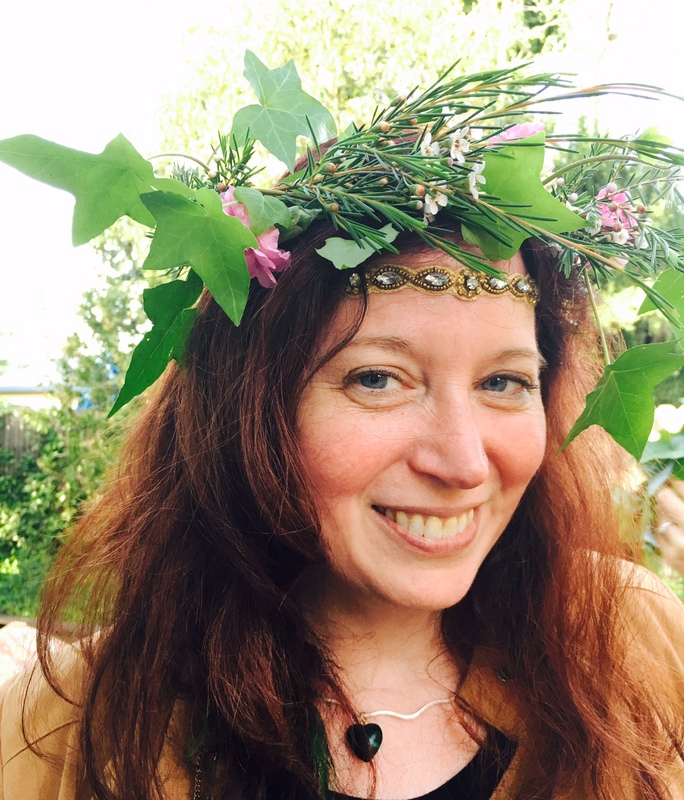 This is the sign of the Earth Goddess: the re-emergence of spring, the abundance of flowers which will bear fruit over the summer, the Beltane fertility rites, and more. The last time Uranus moved into a new sign, within a few hours the tsunami that breached the Fukushima nuclear power plant hit. In light of this, it serves to get clear on what to expect as well as the best ways to flow with the changes. When I read in the question on how quickly to expect the changes, the Keepers told us they had already begun, as evidenced by the willingness of North Korea to negotiate regulation of its nuclear weapons program! Wow! Great news: the recording is available immediately upon registration. No need to wait to get your answers. It was a doozie, lasting 2 hours and 12 minutes. 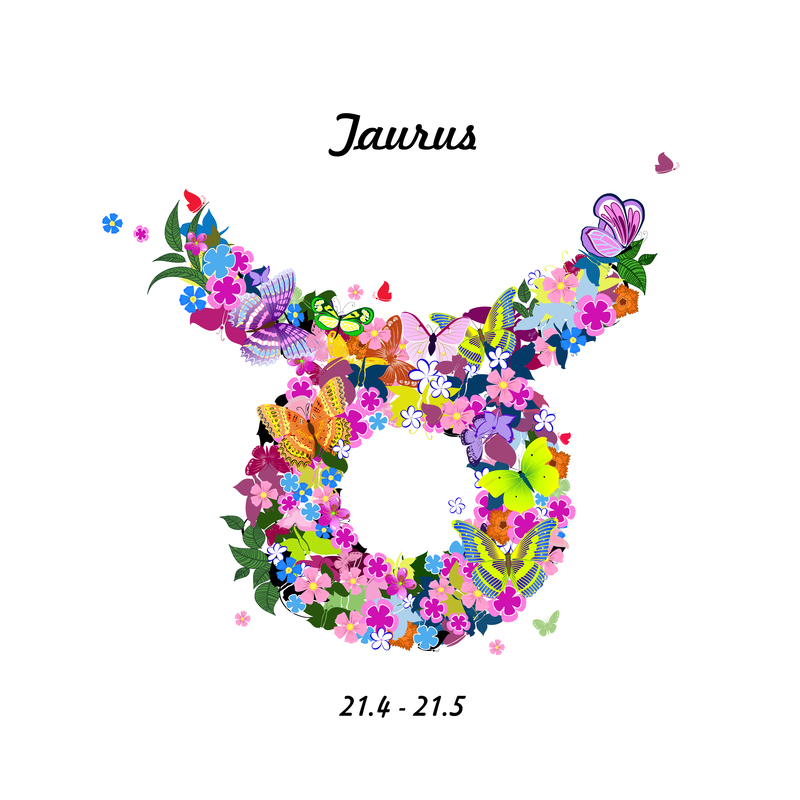 … into TAURUS, the sign of pleasure, abundance, fertility, beauty, grounding, and endurance. This is the sign of personal resources: the money you make yourself, and also that of the Earth Goddess, Gaia. Taurus is ruled by Venus. 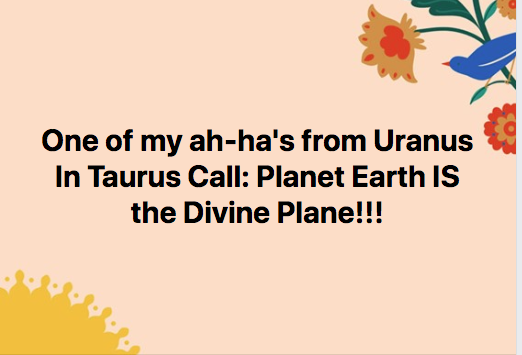 I love doing these channeling calls because I am always personally very curious about astral events will shift the energies of Planet Earth/Gaia, and all humanity. 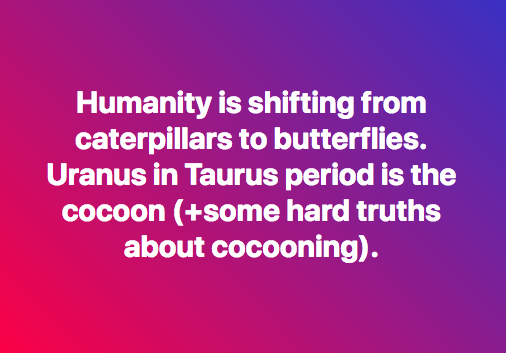 I was also intensely curious to see if/how this shift will hasten the release of the old paradigm of Patriarchy and oppression (which wounds everyone, even those who “enjoy” privileges associated with being a man, or whiteness, or social class) and the establishment of the new paradigm based on Love and connection rather than illusory difference. We got TONS of detail about how this is likely to play out, and even a potential timeline! See below for the list of questions that were asked, but really, there was SO much more to this call than that! Loads of information about the very best stances to take in the face of fears (your own and others’ around you) as the shifts look like they’ll be coming fast and furious over the next 8 years and beyond. Listening to the replay is just as potent as being live on the call, as energy is not bound by space/time. Moreover, you don’t have to take it all in at once, but can chunk it down into smaller pieces that are easier to digest. 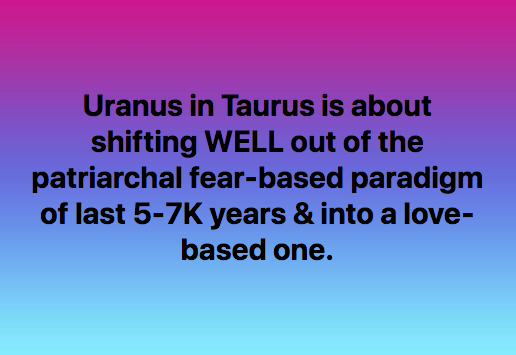 What kinds of energetic shifts can we expect from Uranus’s move into Taurus? Can we expect those changes to happen quickly (in May?) or might they take more time? What are the personal best practices to employ as Uranus is moving into Taurus, and during all the years that that he’s there? How can we support those around us to ease through the shifts? Is it true/likely that there will be a world monetary revolution? What are the chances that we will move to a single global currency? If the change-maker moves into the sign of the Earth Goddess, does this spell the end of the Patriarchal Order? If so, is it a move back to a system of Earth-based abundance, or something altogether new? Because Uranus is a trans-personal planet (operating of the level of the human collective), what can one expect regarding one’s personal money story? Will the shift be spiritual, mental, physical or emotional or a combination? A shift in our perspective, freeing us from past blocks? In what aspects of our lives will it most likely show up – business, personal? How do we stay big, open, insurgent and grounded at the same time? How do we need to be, or what do we need to focus on, to help ourselves and those around us navigate the shift with ease? Will this shift have a positive impact on the political landscape for the benefit of the planet? How do Lightworkers who are instigators of change work with these energies, and how does the element of FIRE relate to what you’ve been sharing? 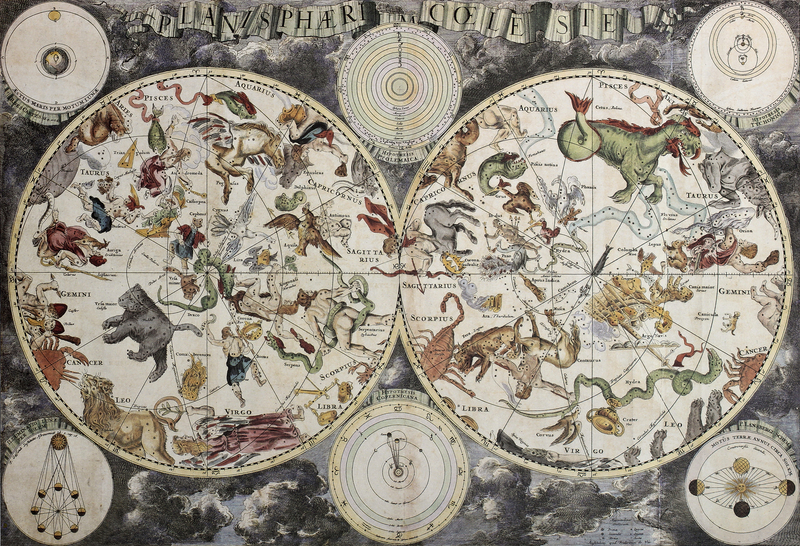 Register for this call to which you can listen over and over for help navigating the ins and outs of the next 8 years–including the Uranian summer 2018 eclipse season–for $39. The recordings–all 2 hours and 12 minutes of them–are on the very next page! 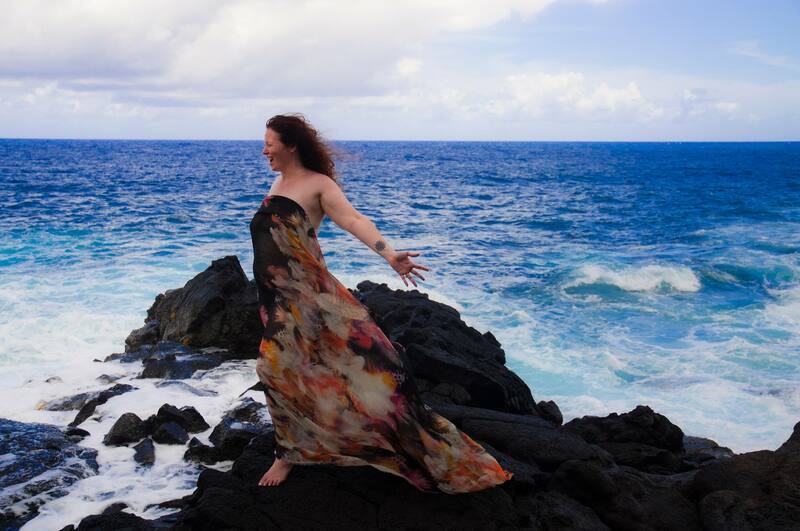 Hi, I’m Elizabeth Locey, Ph.D. + Oracle, Mythic Midwife, and Slayer of Limiting Beliefs. I help Love-team Champions to undo all the ways in which they’ve clipped their own MASSIVE wings and to tear down all the stiffling boxes they’ve built around their greatness just to get along and be loved by the muggles. It’s time to stand up and be counted. To make THE difference in the world. And I’m here to help birth the authentic, LEGENDARY you–the one that stands 12 storeys high and shines brighter than 1000 suns–into the world. It’s what I was born to do. Were you born to BE that? If so, let’s talk. In the meantime, join this call which will no doubt be full of juicy revelations for you. Let’s do all that we can to make the world a better, more just, tolerant, and love-filled place.